Location : See belowed Google Map, Have a nice golf tour!!! Tara Iti jumps onto our World list as one of our highest debuting courses ever. The barely two-year-old course is already acknowledged as the Southern Hemisphere's premier links. 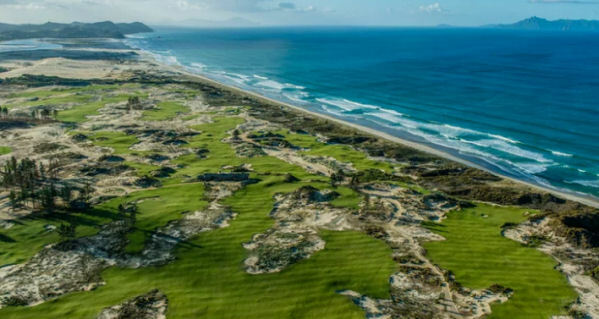 Its enviable location in the dunes along the Pacific Ocean, along with superior fine-fescue fairways and swirls of natural grass and sand, have some reviewers saying it could host an Open tomorrow—if only it were 11,000 miles farther northwest.